We were invited to Oscar’s birthday party on Saturday, but given its remote distance (Philadelphia), we had to attend via The Oscar Files. His actual birthday is today, so Mauri and I had a short skype date to sing the Macy birthday song and catch some of the flavor of Oscar as a three-year-old. 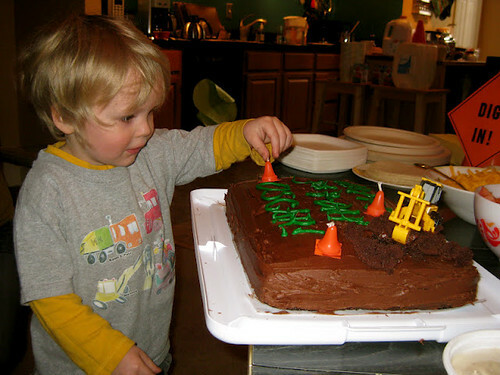 Oh, before you click out of here, please note the shirt Oscar wore for his party (at least for this part of his party). His Anderson cousins had something to do with its design. Welcome to your threes, Oscar. Gus and Gum love you! Well what do you know. Laurissa and Jason’s little girl (our granddaughter) will turn 2 on February 13th. And guess who is partying at the same time as Oscar. Miss Z herself! Cousins from each side of the continent sharing a mutual day to celebrate adding another year. Happy Birthday to you, Oscar!